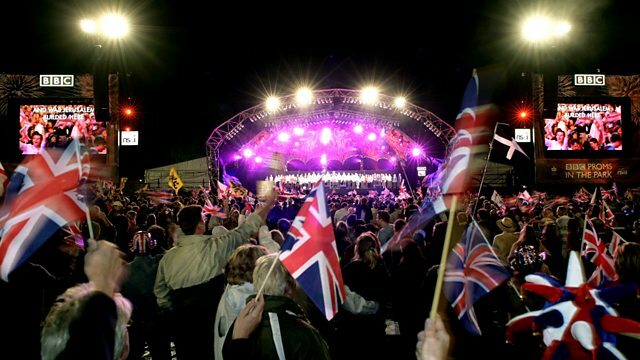 Live from the Caird Hall in Dundee, the BBC Scottish Symphony Orchestra conducted by Stephen Bell lead an evening of music as part of the BBC Last Night at the Proms celebrations. Live from the Caird Hall in Dundee, the BBC Scottish Symphony Orchestra conducted by Stephen Bell lead a great evening of music as part of the BBC Last Night at the Proms celebrations in Scotland. Presented by Kaye Adams and Jamie MacDougall, the concert features fantastic performances from tenor Alfie Boe, Scottish soprano Lisa Milne, singer/songwriter Fran Healy and Kristan Harvey, BBC Radio Scotland Young Traditional Musician of the Year. Also performing on stage will be the Dundee Proms Chorus, a choir of volunteer singers specially arranged for the event. The choir will be just one part of a great evening of live music including a mix of popular classical and modern pieces and some with a uniquely Scottish flavour.